Head coach Jason Gillespie says Luke Wright's ability and experience remain crucial to Sussex in their bid to win silverware this summer. The former England international retired from first-class cricket in between the club's first and second County Championship matches this season and will now to focus solely on the shorter formats. Of the 34-year-old, who led the Sharks to the runners-up position in the T20 Blast in 2018, Gillespie said: "I'm delighted that we'll be benefitting from Luke's skills and leadership in the shorter forms of the games for years to come. He's in great shape and I'm sure he'll be playing for a long time yet. "I sat down with Wrighty at the end of last season and he was keen to work over the winter to try and cement his role in the four-day side. "He missed out on selection for the first game with a couple of the other lads given an opportunity and he has been very selfless in making way for other players to come through. "Luke's been brilliant for Sussex in first-class cricket for many years and his record reflects what he has achieved in that form of the game." 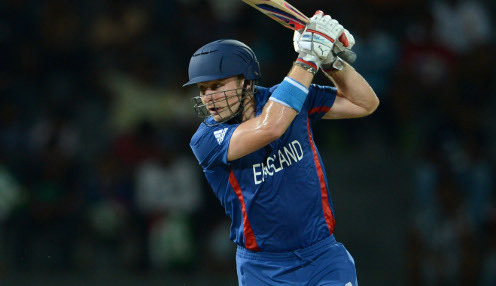 Wright's career record of seven T20 hundreds is bettered only by the amazing Chris Gayle, who has 21. Sussex can be backed at 10/1 to win the Royal London Cup this summer, with Hampshire 5/1 and Yorkshire 15/2.